The Austrian subsidiary of British Petrol ends up contracts with the Austrian oil corporation. Possibly better conditions should be negotiated. According to the Austrian business magazine “trend”, the British oil corporation ended up cooperation with its Austrian counterpart OMV. The purchase contracts with the refinery in Schwechat are determined. 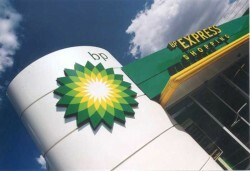 Market observers expect that BP could negotiate for better terms of delivery. But the supplier could be changed too.